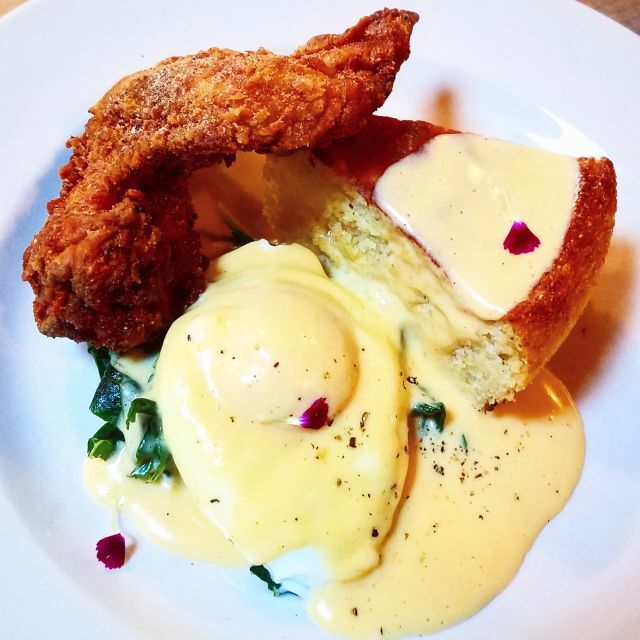 Mae’s three-fat fried chicken wing, stone-ground white cornbread, sautéed collard greens, poached egg, hot sauce hollandaise. For the past year, one of the hottest reservations in Portland has been Mae, a lively Southern feast and indie music bash from former Beast sous chef Maya Lovelace. Mae’s tasting menus, served Monday and Wednesday nights in the backroom of Old Salt Marketplace, change weekly to showcase farmers market finds. 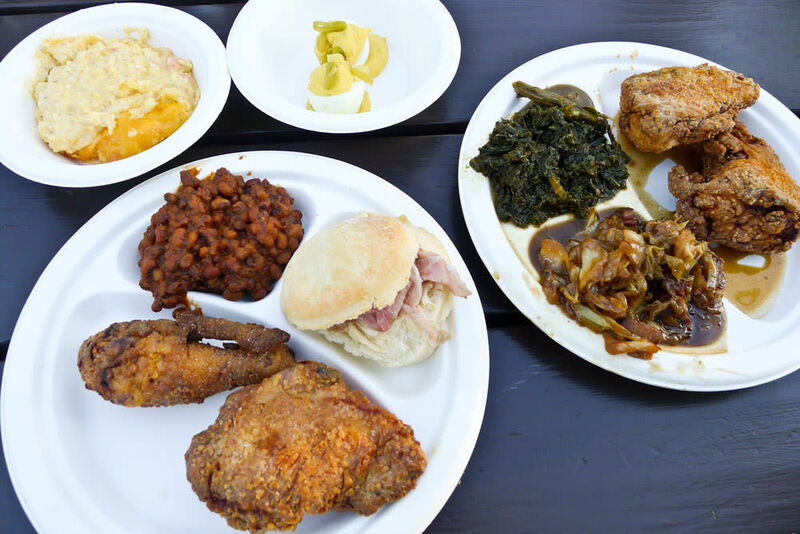 But Lovelace’s fried chicken—proudly fried in three kinds of fat—is the pride of the house, served at communal tables between courses of farm-fresh pickles and some very good angel biscuits. 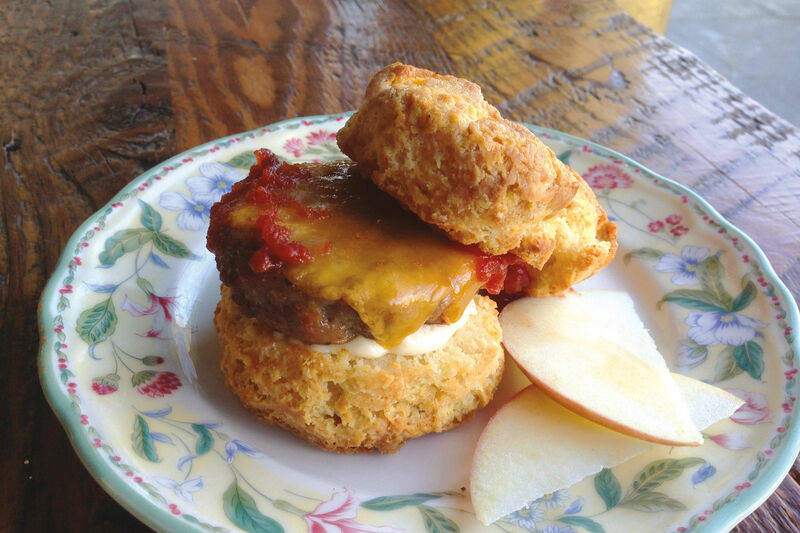 Now, Eat Beat has learned, Lovelace (and partner/barista Zach Lefler) will spin her Appalachian sensibility into four-course Sunday brunch. The game plan calls for seasonal rotating dishes, a weekly grits course, and always, a fried chicken course. Mae will host two seatings (10 a.m. and 12:30 p.m.). As is always the Mae mode, BYOB. Juice will be on hand, gratis, for DIY mimosas. Price is $40 per person, including coffee. 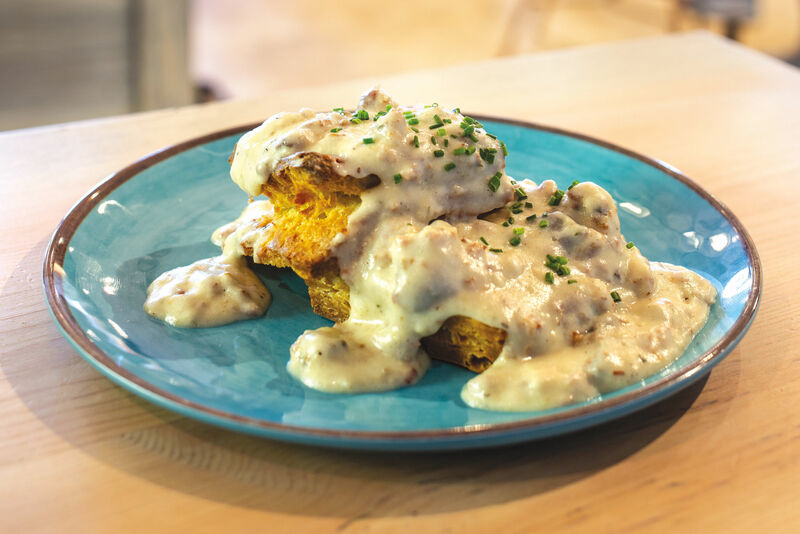 This much we know for sure: when Mae kicks off on Sunday, September 4, the hot sauce hollandaise will be spooned, a la Lovelace, over poached eggs, with a side of stone-ground cornbread (a Mae standout). 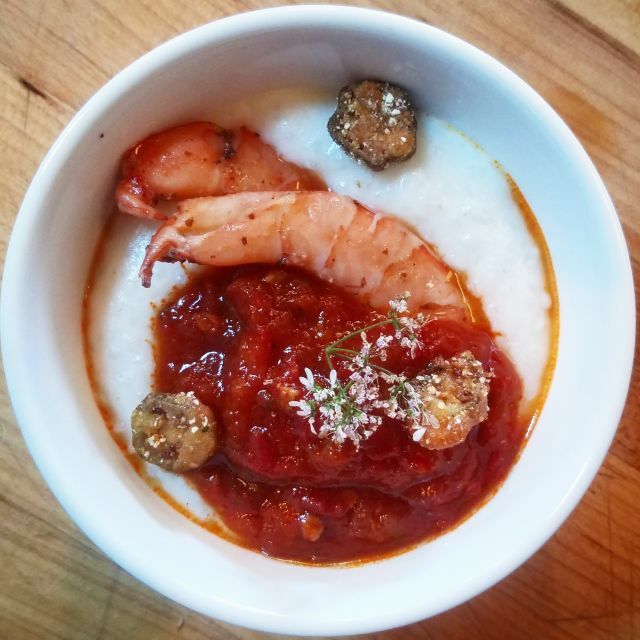 It might come before the sumac-poached shrimp and bacon-laced peperonata heaped over Carolina Gold grits and cornmeal-fried okra or after the melon with shiso leaves, toasted benne seeds and bourbon barrel-smoked salt. 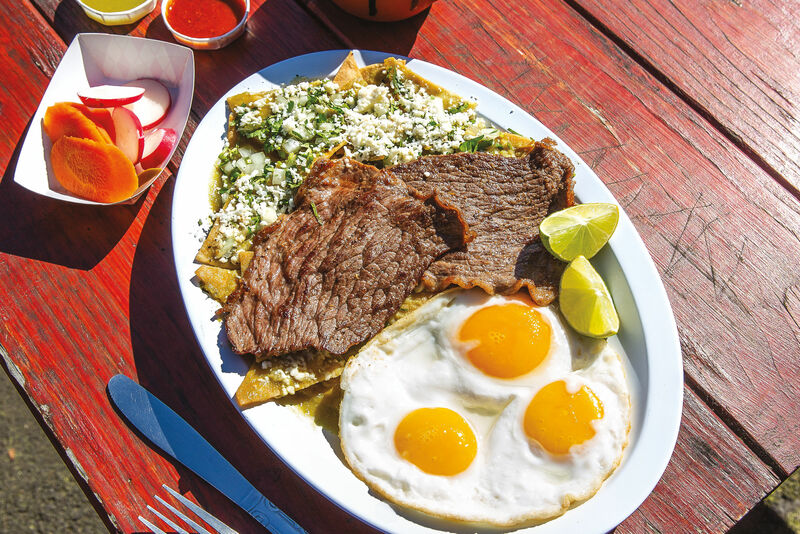 Rest assured, you won’t go hungry. For reservations, sign up at maepdx.com. Ticket info goes out weekly, first come, first served.